Spinach is a one-year or two-year plant with succulent green leaves and class formed flowers, and it is the richest vegetable in chlorophyll. Due to the presence of minerals and vitamins, spinach is called “king of vegetables”. Just 100 grams of spinach contain about 1400 milligrams of mineral ingredients. There is no other veggie that can be compared with the spinach, taking in consider the amounts of magnesium – 56 milligrams. Spinach is extremely rich in potassium, calcium, sodium, phosphorus, manganese, copper, zinc, iodine and cobalt. 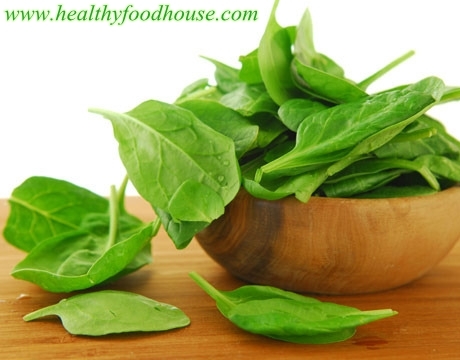 Spinach is rich in vitamins as well, especially vitamin C – 60 mg, and also contains B complex vitamins. The presence of carotene, 4.1 milligram, provides provitamin A.
Calorific value of spinach is not big – 22 kcal, because it contains little proteins, carbohydrates and fat. 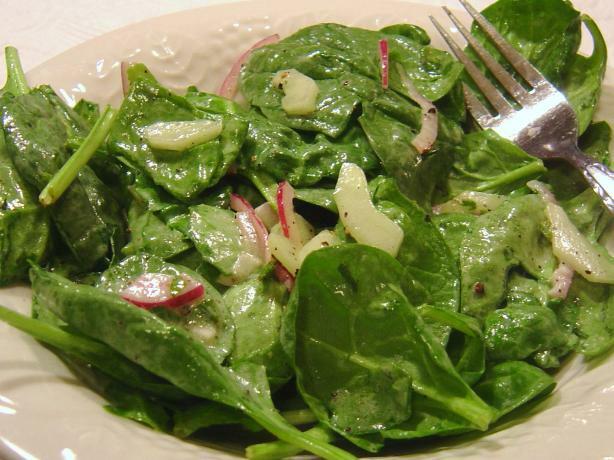 Due to the presence of oxalic acid, it is recommended for people with kidney diseases to avoid spinach. Spinach is a perfect metabolism booster. Due to the significant presence of cellulose – 620 milligrams – spinach has a main role in digestion and body cleaning. However, it’s not recommended to prepare spinach as pottage with flour or animal fat, because it can cause serious health problems (diarrhea). When spinach leaves are young, it can be eaten raw as a salad. Spinach is most delicious from March to May, because it is his natural period of growth, but you can find it in winter season as well. When you buy spinach, pay attention for the leaves to be solid and clear green. While cleaning, cut out the roots and carefully wash each leaf separately under cold water. Once you cooked the spinach, do not reheat, because reheating spinach can cause nitrite production (Nitrate itself is totally harmless, but it can be converted to nitrites, and then to nitrosamines, some of which are known to be carcinogenic. Enzymes present in bacteria convert nitrate to nitrite). Due to the large amount of water cucumber has a low energetic value (100g contain 14 kcal), but water contains 1.8 g carbohydrates, 0.7 g protein, 0.5 g fat and will keep you away from dehydration. Cucumber is good source of potassium, followed by phosphorus, calcium, sodium, and most vitamins like C and B. Fresh 100 Grams of cucumber contain 0.4 cucumber plant fiber. The cucumber juice is a great way for maintaining health of connective tissue, muscles and cartilage. Cucumber acts anti – cancer and anti-inflammatory – because of the antioxidants and caffeine acid. 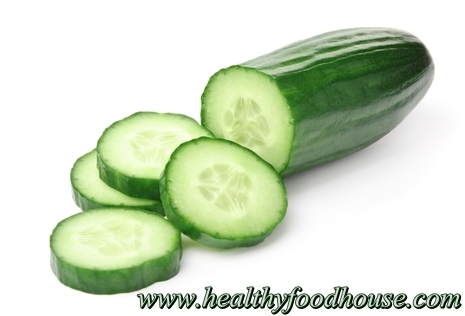 Cucumber is an excellent diuretic because of the large amount of water.